Small acorns are usually discarded for seedling cultivation because they reduce plant quality. This, however, can potentially reduce genetic diversity of plantations. The use of small acorns will result in the production of a higher proportion of small seedlings containing low nutrient levels and having poor outplanting performance in oak container seedlings. Nursery fertilization partially offsets the negative effect of small acorns on seedling attributes in the nursery but not on outplanting performance. Small acorns result in low-quality seedlings and so are usually discarded in artificial regeneration programs of oak species. This can potentially reduce genetic diversity of plantations. Nursery fertilization may compensate for the low quality of small-acorn seedlings. To assess whether nursery fertilization interacts with Quercus variabilis acorn size to determine seedling morphology and nutrition in the nursery and outplanting performance. Acorns of three size classes were used to cultivate seedlings with or without fertilization. Seedling emergence, nursery morphology and nutrient status, and outplanting survival and growth were measured. Small acorns represented 41% of the seed batch. Most acorn size variation occurred within trees rather than among trees. Smaller acorns were associated with lower emergence and resulted in smaller seedlings that had lower nutrient content levels. Nursery fertilization slightly increased seedling growth for all acorn sizes; it also strongly increased nutrient content, especially in small-acorn seedlings. 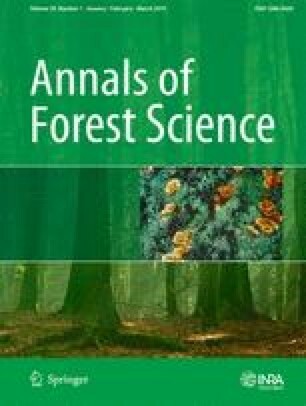 Two years after planting, survival of small-acorn seedlings was 32% lower than the survival of medium- and large-acorn plants. Fertilization did not affect survival, but it did increase size, especially of small-acorn seedlings, though they did not achieve the growth of large-acorn seedlings. Nursery fertilization increases growth and nutrient status, but not outplanting performance, of small-acorn seedlings. Contributions of the authors WS designed the study, performed all the experimental work, ran the data analysis, and wrote the manuscript. PV performed data analysis and co-wrote the manuscript. GL supervised the work, participated in the experiment design, and co-worked in paper writing. XJ participated in data collection and interpretation. We thank the managers and workers at the Jiufeng Mountain greenhouse for their valuable help and support. This work was funded by the the National Natural Science Foundation of China (31670638), Fundamental Research Funds for Central Universities (2017PT02), Special Fund for Beijing Common Construction Project, Project CGL 2014-53308-P of the Spanish government, and the REMEDINAL 3 network (S2013/MAE-2719) of the CAM. *Calculated as SSbetween / SStotal. Appendix B: Statistical analysis of the effects of nursery fertilization and size of acorns for seedling cultivation on Quercus variabilis seedling survival and growth after planting.